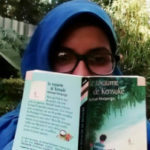 The Book Fairies are truly international, and we are proud to introduce you to some of them here. If you’d like to have some stickers, then please order them here. If your country isn’t featured below, email bookfairyemail@gmail.com to ask about becoming an official book fairy! Please bear in mind that you’ll need to have first been a book fairy and have some pics from books you’ve hidden. First there is a directory of official social accounts, and below are some details about who runs them! I have always loved reading. My dad has an independent bookshop (Laurence Oxley’s in Hampshire) so I grew up around books. For the last Harry Potter book I set up an event to open the bookshop at midnight! There was such a long queue down the street. I love to read and share my books with friends, so The Book Fairies is simply an extension of that. 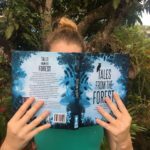 Having book fairies around the world is so exciting and I cannot wait to see people finding the books! 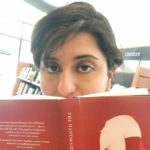 Meet Abeer, a Book Fairy in Dubai, U.A.E. 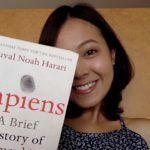 I’m Abeer, a 26-year old Filipina blogger based in Dubai who loves reading and going out to look for cafes hidden around town. Reading is my first love, thanks to my mother who is a bibliophile as well. Books changed me and helped me become a better person; they are my best friends who I can rely on. I wouldn’t know who I am right now without them. I read when I’m sad, I read when I’m happy and with books, I am never alone. I want other people to feel the same thing, too. That’s why becoming one of the book fairies is like a dream coming into a reality, as I am able to reach out to people with the hopes of spreading love and happiness one book at a time. 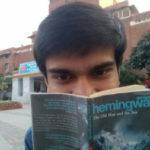 I am Keshav, 21, currently pursuing a Masters degree in English Literature. It is almost dreamlike to finally be fulfilling the promise of a book fairy in India. The very thought of someone smiling after finding a book unexpectedly is beautiful and exciting. It is like being a catalyst in someone’s happiness; bringing them learning and the joy of reading! I’m Amalia, a 26 year old Nutrition Student, I work in a medical practice and I can’t wait to finish University! I live in Buenos Aires, Argentina. I’ve read since I was a little girl, at primary school we had a “reading plan” they gave us 3 books to read during summer break and I devoured them, so my parents had to find me some other books to read. During high school we had the same “reading plan” but consisted on 5 books for summer and one book per month during school time. I enjoy so much discovering new worlds, thoughts and history through books, it’s a way to open your mind and build your imagination. If I had to choose a favourite book, I would choose The Little Prince by Antoine de Saint-Exupéry. I love that book, my granny gave it to me for my 10th birthday and I read it every year, and each time I read it, I find some new learning. It is a book of endless knowledge, a lovely story suitable for all ages and everybody should read it at least once in their lives. Hanife Aydin, 19 years old. I’m a student and in my spare time I work at a supermarket or I’m with friends/family. I’m actually from Turkey but live in Denmark, and I’ve always lived here in Denmark. I love books and spend too much money on them. I’m a bit addicted to Instagram where i have 2 accounts; one as a normal of my everyday and the other one where I’m making hijab(headscarf) tutorials and talk about politics/feminism. I am the kind of girl who always smiles and is open for new people and new things but I’m also kind of shy in some ways. Hi, I am Renata. Originally I come from Central Asia, but currently live in Germany. Having a strong financial and marketing background, I pursue my career in the field of the digital advertising. I would call myself a “trained-extroverted” introvert, thus it should come as no surprise that I love-love-love books. Books have always been my “quiet harbor”, and I am proud to call myself a bookworm. Besides working hard and being a book fairy, I enjoy travelling and exploring the world, doing yoga and meeting up with friends and family! I am a twenty year old who is a seven year old at heart. I am passionate about the things that I do and two of these is being a bookworm and a Kenyan which makes being a book fairy that much more important since it combines both (I owe it to booksontheunderground for letting this happen – they are awesome). Being a Dawoodi Bohra, a student, testing the waters of life and being me each and every second in order to reach Eudaimonia (best philosophy of life ever) is what I am – my identity, so to say. Hi! I’m Aiskell Yanez from Venezuela. I’m a student of English and community manager, also I am activists in a for the human rights in a political organization. ‎In my free time I like go out with my friends, dance and watch TV. I love the TV series and movies. One of favorite movie mine is Harry Potter and The Philosopher’s Stone. 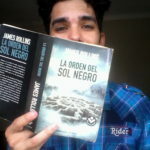 I love read, is my passion. I always remember one book that I read for my class in high school, it was “Crónica de una muerte anunciada” by Gabriel García Márquez, the feel that I feel is, for me, unreal. Be part of the many different historys and live many life is the most exciting feeling. 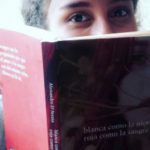 That’s why I love the books and I am very excited to be the first Book Fairy in Venezuela. The happiness you feel when reading a book, being able to transport me to unknown places and letting the imagination fly is amazing and I want that many more people in my country can also enjoy that emotion and happiness. Books are the perfect escape that we all ‎need. Born in Suzhou, China. Had lived in Melbourne, Australia and now lives in Tokyo, Japan. A simple and modern woman who is passionate about everything artistically subtle and imperfectly perfect. I am a digital marketing strategist by profession but writing is my first love. I have been writing professionally for a good 15 years. 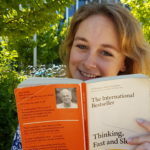 I live in Auckland, New Zealand with my daughter and my husband, where I started Books on the Bus NZ — a movement to place new and used books in New Zealand’s public transport systems (buses, trains, ferries, taxis, bus stops and train stations) — which, was of course, inspired by Books on the Underground. I grew up in Germany, consider myself a local in four different cities and currently live with my family (and cat) in Singapore where I went back to school and studied art managment. I now have my own studio where I love to paint and organize the ArtWalk@Wessex. If am not painting you’ll probably find me on my yoga mat or reading a book! 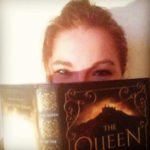 Meet Kaitlyn, a Book Fairy in California, U.S.A. Besides being a Book Fairy, I’m a college student, data clerk, and part time Merchandiser for Chloe + Isabel. I love to read, write, and watch movies. I’m still trying to figure what career path I want to pursue, but until then I’m happy dabbling in all sorts of pies. I try to be mindful and curious with everything I do, and strive to be a life long learner. I’m from Guadalajara, Jalisco, Mexico. I’m a student of Design for Graphic Communication, I love what I do, I love creating new things. I work as a receptionist at a clinic. In my spare time I like to draw and paint. Also a little reading. 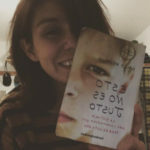 My favourite book is Sally Nicholls ” This Is not Right ”. It is my favourite book because it was the first time that a book transmitted me thousands of feelings, I understood many personal things and about my environment. I would love to be able to share all this with others, let the world know that reading is not bad and not boring We all find ” something ” where we fit in and we end up loving it. May the world feel the wonder of reading. 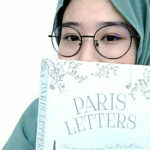 About becoming a book fairy: I believe reading books can positively influence the culture of a city and each individual has the ability not only to enrich their lives but their hometown, too. 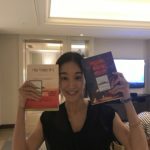 Being the first book fairy in Taipei gives me a perfect opportunity to share the happiness, fulfilment, and perspectives that I gained from books. I’m an educational studies graduate who has a wide interest from filmmaking to all sorts of outdoor activities. For me, travelling and reading are the best way to explore the world and seek the inspirations. 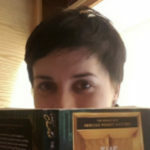 I’m Martina from Milan, Italy, and like all of us, I am a book nut/enthusiast. I studied languages and literature so that I could read in more languages. If I’m not reading a book I am probably at the cinema or out riding my bicycle. I like the classic book and tea, but what I love most is reading on means of transport because it’s like taking advantage of an otherwise boring moment. I am happy when i know I’m going to be on a train for an hour, because I get to read more! This is one of the reasons I’m excited to be a book fairy; I want people to experience what a book can do to your day, it can even change your perspective. I believe the written word is a gift, and sharing books is my (our) way to celebrate it and be thankful. My name is Claira and I love stories. While growing up I learned to read wrapped in the arms of my parents and grandparents and can never thank them enough for sharing the love of reading with me. I will never stop searching for great stories and in 28 years of life I have found nothing more magical than the art of storytelling. Living in Los Angeles, I am happily exposed to stories in all forms. Whether in dance and music, paintings and sculptures, film or novels, life holds beautiful stories. As a reader and writer I will never tire of sharing them. I am a dreamy and creative woman, I like movies, music and of course, books! I enjoy a day with my family and friends, I like to play guitar and do calligraphy, fan of black chocolate and matcha tea. Born in Bogotá – Colombia, living in Barcelona where I studied typography; volunteer in an ONG and proudly Book Fairy in Spain. Hi I’m Mia, I’m 22 years old and I live in Denmark. I study history at Aarhus University and I use my sparetime to be with friends and family as well as spending a lot of time reading books. I love reading because it takes you to an entirely different world. Through books you meet people who you instantly fall in love with and they take you on a journey that goes farther than the words on the pages. When it comes to my favorite book it is too hard to choose! 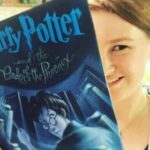 Tamora Pierce and J. K. Rowling are both writers I grew up with and I am quite certain I wouldn’t be the same person without the books about the Tortall universe and the books about Harry Potter. Through the years many more books have joined my collection, and it is completely impossible for me to choose only one. Gosia Kowalska, a Polish girl with the most Polish surname. I’m a 4th year medicine student, a passionate reader, a lousy ukulele player and an aspiring singer. I’ve sung in a musical, now I sing in a choir and send each year a Christmas carol to my friends. One day I hope to sing to stressed mothers during their labour, as I want to become an Ob-Gyn. Hoping to bring some goodness to the world. My name is Öz. I was born in East Sussex, England to Turkish parents in 1992. I have been living in Bursa, Turkey since 2010, where I completed my studies in Anaesthesia and am now occupied with studying Business Administration. I teach English part time and spend the rest of my free time with volunteer work, trying to better the community I live in. Getting lost in a good book is one of my favourite things in life. 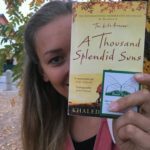 I am very excited to be the first Book Fairy in Turkey because there is something very powerful about giving and sharing, putting an unexpected smile on someone’s face. I am excited to be spreading books over my city, to hopefully see more readers everywhere I go, because books are the key to understanding different lives, to learning and ultimately to a peaceful world; and we all need that right now. 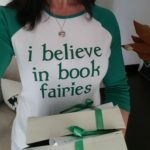 I’m thrilled to be the first book fairy in Ireland, the home of so many wonderful writers – and fairies. For me, books are magical and I can’t wait to sprinkle some magic around Dublin. I graduated from Trinity College Dublin with a B.A in English Lit., and Drama Studies. It’s an exciting and frustrating time to be an actor and feminist in Dublin these days. The ‘Waking The Feminists’ movement certainly gave the Irish arts industry a good wake-up call. I see this project as another way of doing my part for feminism in Ireland. 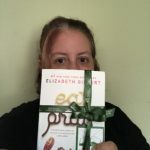 Meet Julie, a Book Fairy in Leeds, U.K.
I’m a 40 year old paramedic, living in a small village approximately 25 miles outside Leeds. I’ve spent most of my working life in Leeds & help to care for the city’s inhabitants & visitors through my job. I’ve always loved books, and have become an avid reader over the last 3 years or so. 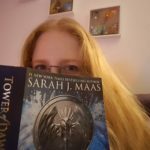 My job is rewarding but can also be very demanding and emotional, and books help me to deal with the stress, grief and tragedy I see on a daily basis. 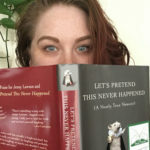 I am extremely excited to be a part of the Book Fairies Worldwide story. I want to spread the joy of reading to others, and hopefully help those who don’t easily get access to books. It is a project very close to my heart. Booklover before learning to read (thanks to my bookworm family), I enjoy getting into the minds of the writers. When not reading, you can find me cycling or rollerblading through country roads, trying my best at gardening and organizing activity for kids. Love to host dinner with friends at home. Embracing the fact that I will not be the lady who always looks put together and my messy curly hair :-). Bank employee for a living. 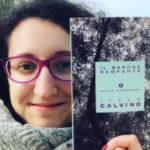 A book’s incipit to represent me: “We don’t have a word for the opposite of loneliness, but if we did, I could say that’s what I want in life.” (Marina Keegan – The Opposite of Loneliness). My name’s Marie-Célia and I’m a modern languages and law student at La Sorbonne University in Paris. As far back as I can remember I’ve always loved reading and writing as well as books, the way they feel and how they smell. I spent my entire childhood in bookshops. This passion comes from both of my parents and especially from my dad who was himself a writer and would read his stories to me at bedtime. I love travelling and at every possible opportunity I just jump on a plane but never without a good book and great music. I like getting involved and speaking up for the things I believe in, as I think it’s really important nowadays, that’s why I’m an active member in my uni group Sorbonne for the United Nations (including groups as UN Women, UNEP, UNICEF,…). I’m Tiff, I live in Perth Western Australia. I’ve grown up with books all around me. From a young age I would fall asleep listening to audio books about the adventures of Winnie the Pooh. My fondest memories from my childhood are of my parents reading me Pollyanna and Anne of Green Gables. These books really shaped me as an individual and I try to live my life with as much love, wonder and enthusiasm as they did. One of my main loves, other than books, is travelling and exploring the world. I think this is another reason why I love books so much! Books transport you to another world, another perspective, even another universe. I love to see things through other peoples eyes and reading allows me to do this. I’m honored to be the first book fairy in Australia. I’m so excited to be able to share my love of books with other people! I love the idea that the books I leave will make someone’s day brighter. I really believe that the book fairies are spreading a little magic around the world with every book that is shared! 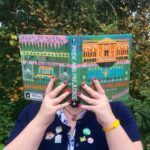 Follow @bookfairies_aus on instagram! Hello! I’m Anna from Seattle, WA. For as long as I can remember books have been an integral part of my life. My mother is a retired librarian and my dad the worlds greatest story teller, and together they planted the seed of loving books in me at a very, very young age. Books provide whole new worlds and languages to become lost in and I always come out the other side knowing more about who I am. While inside a book I am never alone. Being a Book Fairy has breathed an even greater passion for books into me, and every time I share a book my soul flies a little with joy! I’m so honoured to be a part of this amazing project and am excited to keep spreading the love of books! Bibliophiles unite!! I’m 20 years old and studying at Rotterdam School of Management. 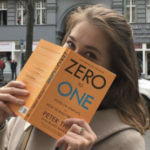 I’m actually from Germany, and that’s also why I think the book fairies are so great: it’s incredible to be a part of a worldwide community, especially one as inspiring as this one. No matter who you are, where you are from or where you currently live, everyone can be a book fairy and share the books that they love so that they can be loved by others as well! Hi, I am Tanya Mishra. My love for reading began when I was a little girl and my grandfather would lend me books to read from his library hidden in the basement. I spend hours and hours reading classic literature and fell in love with the stories and distant worlds within these pages. When I am not reading, I work with UNICEF advocating and supporting global child education programs and share science & technology opportunities for students around the world through my program, Sprocket. I believe in the power of education and I hope every child has the opportunity to read a book, regardless of social, political or economic conditions! I also share classic vintage books with readers worldwide through my program called Books of Yore. Reading, learning, and sharing the love of books is what makes this world a better place! My Name is Luna, I’m 28 years old and I live in Vienna/Austria. I’m an early childhood teacher and I also studied media education. I’m in love with books and libraries since forever. I got my first membership for the local library when I was three years old and since I can read for myself I always have at least one book with me. You just never know when there will be free time to spend with a book. 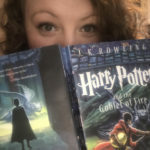 I try to give my passion about books to the children I work with and now, as a Book Fairy, I have the chance to work a little magic throughout the day. I really love being a Book Fairy. I’m a Zimbabwean-born, South African-bred, Cape Town-living lover of literature! I’m 23 years old and a Graphic Designer by trade. 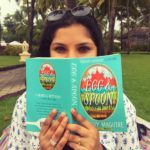 I love mac and cheese, writing over on my blog or Medium, planning my next trip and losing myself in my favourite stories. Books have always, always been a part of my life and I am extremely lucky to have grown up in a family that inspired this quality in me. I have especially grateful to my grandfather, my silent cheerleader. Whether I am out on business or discovering another corner of the globe, I always have a book on hand. 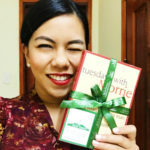 I am blessed to be a part of this magical movement of Book Fairies and to be a part of inspiring the world’s love of literature and book sharing. 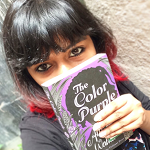 I am Namita from the beautiful Bangalore and it’s a pleasure to be a book fairy hiding books around this city. Its a joy to find a book hidden mysteriously or to receive one by post and a bigger joy to be able to share it with more and spread it, a notion I fantasized for far too long. I was born in the hearty Delhi and studied literature there, so I credit all my love for books to that city. I love to travel and I anticipate to utilise this channel to make the books travel too and find a new home. Reading books from different cultures, genres and period of time, not just refreshes knowledge but also cultivates a new perspective, one that is different from ours. I have always embraced and encouraged that personally. I have many favourite books and authors, but I hold Wizard of Oz close to my heart always. Its the simplest of a story teaches a life’s lesson of how to cope with the basic necessity of having a heart or a brain or courage missing from life. 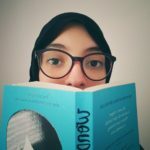 I’m Farah Fakih, a graphic designer and a combination of both Gemini and Cancer. I enjoy cooking, cleaning and waking up so early to work. Lol! Just pulling your leg. The only things I’m really good at are collecting books, reading and designing. When lost, can easily be found behind my laptop reading a book. I am Matilda, a Swedish-speaking Finn living in Vasa, Finland. I am PhD-student in educational sciences and currently working on a thesis on learning in informal virtual learning environments, such as video games. 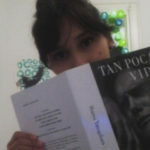 Apart from academic texts I also read as much fiction as I can and I love to share my literary experiences with others! Hi! I am Hailey, 31. I am a stay at home wife after becoming disabled from a car accident in 2005. I love animals and enjoy spending time tending to our urban farm. In my free time(other than reading, of course! ), I enjoy painting, dancing and videography. An avid reader from an early age learning that I could escape life’s troubles inside the pages of a book. My car accident left me bedridden for nearly two years and within that time I indulged myself by reading book after book. 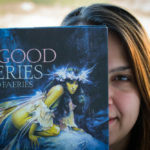 By serving as a fairy, I hope to provide others with the opportunity to find their own serenity in the pages of a book. I am a Missouri native, so I am thrilled to be able to spread the magic, that is books, throughout my state! Hi, I am Lidija. I was born in Belgrade, Serbia with no intention of leaving for good. Officially, I work at a theater as a marketing assistant and, unofficially, I do whatever supports my passion for learning and exploring new things. I fell in love with books at the age of 4 and I have loved them ever since. In the meantime, I also started loving my bicycle, tasty coffees, craft beers and crazy challenges. I am looking forward to growing book fairies culture in my country. My name is Kelsey and I am 27 years old. I attended college at BYU-IDAHO where I studied English Literature. I dream, and hope, of one day becoming a writer. I’ve loved reading as long as I can remember. But with other things going on in my lifestyle that time, I started to fall behind on my reading. My book piles would grow higher and higher but I couldn’t even make a dent in them! So at the beginning of 2017, I made a resolution to read at least 1-2 books each month! 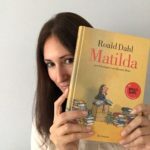 I first heard about the Book Fairies when I followed Books on the Underground on social media. I heard about Emma Watson “dropping books” in NYC and immediately, I was hooked! The main reason I joined Book Fairies Worldwide was because when I look around the world today, SO many people are glued to their phones and electronics. I wanted to share the joy of reading with them again and encourage people to start reading books more! More reading, Less tweeting!! Hi! I’m Rose. 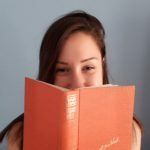 I grew up traveling extensively around the U.S., and as an introvert who didn’t have a private place to escape to (I’m the youngest of 8 kids), reading became that escape. I’ve loved books ever since. 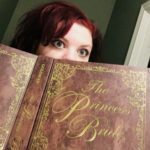 I now have a personal library of over 500 books! Besides being a book fairy in Colorado, (where I now live full time), I also work as a pediatric nurse for special needs kiddos. Best. Job. Ever! I also enjoy traveling the world as time and money permits. I’m very honored and excited to become part of this venture, and encourage you to follow along with me @bookfairiescolorado on Instagram! I am a bibliophile through and through. I love books in any sense, and even enjoy them just being in my space. It feels like culture, learning, adventure, darkness, and light, when books are near. I have just started a Little Free Library in my neighborhood, to promote literacy amongst children and adults. 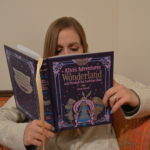 My natural next step is becoming a book fairy, and spreading magic and joy around my great home state of Maine. My two children will be assisting! Hi everyone! I’m Jaymi and we are in sunny Southern California. We live in “the OC” near Disneyland, Angel Stadium and Chapman University. 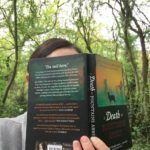 I started a little free library and love to share books with friends and neighbors. Being a Book Fairy is another way to promote community and literacy. But more than that, I just love the idea of leaving a book for a stranger to find. What must they think when they realize it’s a book just for them? Or a child’s face when they see a book propped up against a tree? I’m a coffee drinker, animal lover, a proud Virgo, a journal junkie and nerdy nature girl. 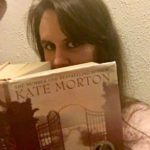 The books I’m most excited about for 2017 are: Rich People Problems by Kevin Kwan, Into the Water by Paula Hawkin, Every Last Lie by Mary Kubica, The Late Show by Michael Connelly, The Lying Game by Ruth Ware, The Blackbird Season by Katie Moretti and the Stolen Marriage by Diane Chamberlain. Hi! I’m Jules and I love in the beautiful bluegrass state! I’ve loved reading since before I can remember and can often be found buried in a book. My favorite stories are usually fantasies, twisted fairy tales, or brilliant historical fiction (especially when the time period is from the War of the Roses and Tudor England). I am fortunate to have to opportunity to share my love of reading and stories with my son and now, as a book Fairy, with my whole state! It’s time to get lost in a story, Bluegrass lovers! Hi, I’m Rebecca! Born and raised in the beautiful state of Georgia! Going to a bookstore, bookfair, or thriftstore? If yes, and you’re looking for a shopping buddy, then I’m your gal! I’m not quite sure when my love of books began. They’ve always been a part of my life. Some of my best friendships were born from the kindred love of books! The journeys and growth are what excite me! I take that back… it’s the whole experience! The feel, the smell, the emotion… everything! Most books can change your life, if you’ll allow it! For that reason, books are meant to be shared! So let’s get sharing!! My passion for reading were seeded in my childhood when I spent lazy summer afternoons devouring Enid Blytons and a hoard of other children’s classics. I have evidently been able to live up to my namesake “Kadambari” – which in a local Indian dialect literally means – A Novel. 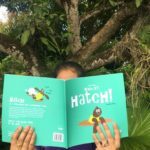 In addition to being an ardent reader, a book hoarder and a digital content expert, I am also a new mom, venturing on an entirely new journey of reading with my little daughter. 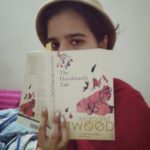 Books have been the sole reasons behind some of the strongest friendships I have formed over the years, and being a Book Fairy marks the start of other such magical friendships with readers from all around the world. Min joo yoo is a business major who quit her job from a promising career and headed to Paris to find what to do with her life. She later became a owner pastry chef of Glamorous Penguin dessert cafe in Seoul, Korea. She now acts as an ambassador for many brands and also as a TV personnel for various popular cooking shows in the country. She’s in love of all recipe cookbooks as well anything Jane Austen and Harry Potter. 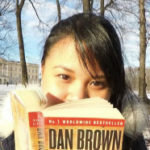 She is also the writer of american cake (Korean) and many more books to come. I have a deep love of reading, story-telling, and literacy. 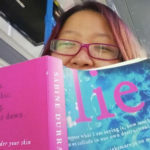 I came to book fairies because I love the idea of connecting people across the world, spreading positivity, and promoting reading for pleasure. 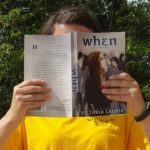 I work at a non-profit that strives to improve literacy among at-risk youth. Many of our students have a negative connotation toward reading. They don’t know how to read or have people to read to them, or they come from other countries and don’t have books that represent their cultures. I believe education is the only way that we can move forward as an accepting and understanding society and without reading, there would be none of that! Our non-profit collaborates with many literacy-focused organizations and businesses to further the mission of helping our most needy succeed. 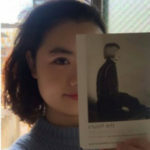 My hobbies include writing, entrepreneurship, volunteering, animal welfare, art (both history and creating), meeting new people, reading (a given!) and traveling. I have a twin brother who started a successful publishing company and I come from a family of many talented people including writers, educators, and artists. You can find me at different book clubs, writers workshops, and author talks around town trying to soak up all things reading-related! Hi! 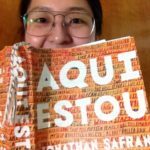 I’m Juliana, from São Paulo, Brazil. I’d like to introduce myself with some words: 27 birthday candles, journalist as my actual profession, professor as my goal profession, lover of books (of course), lover of music, lover of films, lover of series, reader, writer, storyteller, dreamer. Especific things I try to introduce in my life: a Forrest Gump’s life story with some pinch of Rory Gilmore’s energy, plus a little of Bealtles’s melodies. This is me and I’m so glad to be a Book Fairy now. My name is Christy and I am the Official Book Fairy for the state of Pennsylvania. 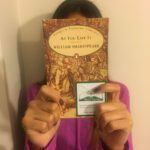 Books have always been a part of me – in my youth as a way to learn about the ways of the world – and in my adulthood as a way to keep my imagination alive and my knowledge expansive. I often collect books, literary classics and others I just cannot live without. My greatest book collection though, is that of Alice in Wonderland. I own over 100 copies, some are very old, some were gifts, and some are even in languages I cannot read! As the years have gone by, books have brought me to places I’ve never been, whether in my mind’s eye, or in person. 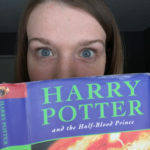 The Harry Potter series, an integral part of my life (and heart! ), brought me not just to a magical world, but also outside of my own country to visit England. 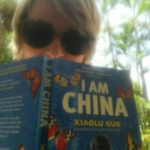 Now, as Book Fairy, I get to talk to people living all over the planet in places I’ve never dreamed of being connected to. I believe, as Fairies and as people, books are the link that bring us all together. Hi! I’m Megan from Columbus, Ohio. When I’m not working as a pharmacist, I’m traveling, hanging out with my dog, spending time with friends and family, or speaking up about the various causes I’m passionate about. For as long as I can remember, I have loved getting lost in a book. Over the years, books have opened doors to new worlds, cultures, languages and stories for me. 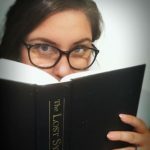 I tend to read dystopian stories (or Harry Potter for the 100th time), but being a part of the Our Shared Shelf book club has not only helped me branch out, but also introduced me to The Book Fairies. I absolutely love doing random acts of kindness for people, so The Book Fairies is a wonderful merge of that with my love of reading. I’m excited and honored to be a part of this organization and share my love of books with others! 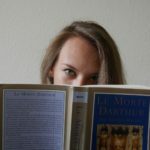 I am Michaela, a 23 year old geneticist who spends more time reading books than doing science. Whups! I am from Slovakia but have been living in Scotland for 4 years. I love trying and experiencing new things so books are the prefect way how to enjoy all the good from this world (whilst being warm and safe). You travel the world, you fall in love, meet amazing and inspirational people and then cry for days when the journey is over. You get all the feels from just one book! 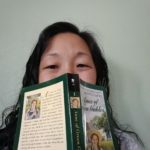 I am happy to now be a part of the Book Fairies so that I can share the joy of reading by sharing books. Hello! I’m Lou , from Brazil. 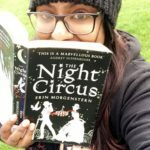 I’m a 26 year old book loving scientist living in the UK after having lived everywhere else. I love how the pages of a good book smell when you first open it, and that first sentence that draws you in to this whole new world. Books have always helped me escape from the world, either on a good day just for the enjoyment of it, or on a bad day where the world on the pages just wipe your mind of any problems or sorrow. 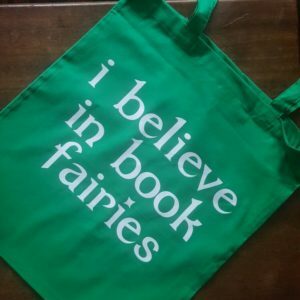 The book fairies help make those wonderful worlds found in pages that much greater by sharing it with everyone and it is a thrill to be a part of this. Helping make someone’s day by finding a good book is the best reward. My name is Debbie and I live in Northern Ireland. I am married with 2 adult daughters and 2 grandsons. I have always loved books and reading. One of my favourite books from childhood is Anne Frank and I absolutely enjoyed visiting the museum in Amsterdam a few years ago. I could have happily stayed there all day. 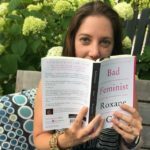 I run a book club and we meet once a month with updates and discussions on our Facebook page. I love being a book fairy because I get to share my love of books with a little bit of magic added!! 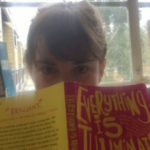 Hi, I’m Themis, a high school teacher in Louisiana. I’m a bibliophile and a book hoarder. If I had it my way I’d spend the day reading and talking about books. Some of my favorite books are The Count of Monte Cristo, And Then There Were None, Emma, The Book Thief, and Fight Club. Yep, I read a little bit of everything! 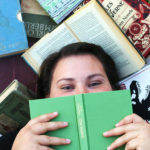 I’m a 17-year-old book fairy named Ibby, working alongside my mom, Cara, in Arkansas, USA. We are both avid readers. I, Ibby, am very proficient in the ancient arts of walking while reading and hiding novels behind textbooks in class. My mom, Cara, has had a large book club for 11 years going. They may or may not drink a lot of wine during said book club. Needless to say, we are both thrilled to be the official book fairies of Arkansas and we’re so excited to travel the state and spread the love of books and reading. My life has been about stories for as long as I can remember. I’ve been a journalist, a public relations writer and a copywriter in the advertising industry. As a features journalist I told of interesting tales and people. 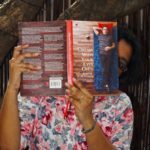 Now as a freelance book editor, I help authors tweak their stories into compelling and strong narratives; and write book reviews for a Bombay newspaper. An aspiring writer, I’m mulling over my own tale to pen along the way. Additionally, I’m a lightworker, with first-hand experience of the life-altering benefits of spiritual healing. I use the gentle and loving energies of angels, nature and life force to find balance and strength for a fulfilling life. I use angel cards for guidance; and energy healing and essential oils in therapeutic massage to bring relief to aches and enhance overall well-being. I was destined to be a Book Fairy; a combination of my two loves in life — books and magic! Hi! 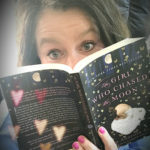 I’m a registered nurse in Connecticut (United States) and have been an avid reader since I was very young. 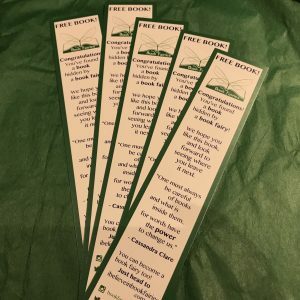 After receiving an outpouring of amazing books to celebrate opening our Little Free Library at our home, I found the Book Fairies and realized it was the perfect way to share our books and brighten someone’s day! I can’t wait to see who will find our favorites! Hi, I’m Becky McKinnon! Some of my best friends live on the pages of books, or in my head as I work to write them into existence. One of my favorite things to do is introduce people to books they’re sure to fall in love with, and I would love to be known as the Story Lady. Aside from reading and writing, I enjoy making a mess in the kitchen, puttering in the garden, playing with my 3 children, and knitting. My front door is painted purple, yoga makes me happy, and I always have an ear out for the TARDIS. Hi there! 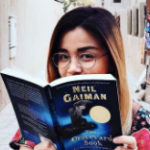 My name is Jean, I am originally from the beautiful country of the Philippines, but I am currently based in Doha, Qatar where I have been spending a lot of time reading and being a Book Fairy on the side. ? I started my love for reading when I was about 6 and I was 12 when I started collecting them. I fell in love with the works of Sidney Sheldon and I am also a Harry Potter series enthusiast. 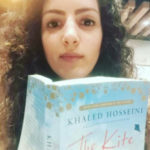 Though I would say that my favorite book is the Kite Runner by Khaled Hosseini. Reading takes me to an entirely different and amazing world, where i can control and dictate everything according to the story that I’m into, where i can be a heroine or a damsel in distress, it is like being somewhere else and having the adventure of my life, while comfortably seating in the warmth of my couch. 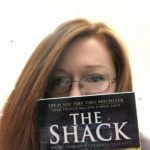 I decided to be a Book Fairy because I would love to share with others the same amazing experiences I had while reading. ? I buy too many books. No, really. My apartment is equal parts small bookstore and lending library. I’ve loved reading for as long as I can remember, and I have a particular fondness for used books. My dream is to run an independent bookstore someday. Nothing brings me more joy than sharing books with people. Becoming a Book Fairy was just the natural next step in the right direction. As a child, I would completely lose myself in books. But as an adult, my profession ate up all of my pleasurable reading time for years. Now, my biggest life luxury is that I have lots and lots of time to read, and oh, how I love it!! Sharing good books is something that I have always done among family and friends. The opportunity to expand this idea by sharing books anonymously as a book fairy with the people of Chicago, and wherever else I travel, has filled me with joy! I’m Sarah, a communication and media management graduate turned financial consultant. Other than my passion for art, I love to read both fiction and non fiction alike! Books have always been a great source of knowledge and an inspiration to me as reading often sparks my creativity. Reading is definitely an adventure one should go on and being a book fairy gives me this great opportunity to help instil and cultivate a reading culture within the community at all levels. Hi! 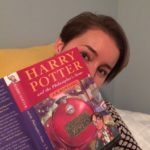 I’m Katie, and I’m a twenty-three year old book lover from Tennessee, USA. I am so excited to be a book fairy because I enjoy sharing my love of reading with others! Books have been an important part of my life since I was a little girl; I often find myself preferring them to people. I hope that by joining the book fairies I can help others find joy in the written word! Besides reading and being a book fairy, I enjoy working with animals, traveling, and spending time with my family. Hi, I’m Ashley from New Jersey! I am a 27 year old seventh grade Language Arts Teacher who never leaves the house without a book. I live in central Jersey and I am the perfect distance from the shore and New York City. 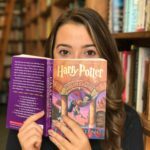 My passion for reading started at a very young age,however, it didn’t really take off until I entered the wizarding world of Harry Potter. 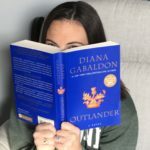 When i’m not reading middle school level books during the school year, I can be found curled up on my couch with a YA or Scottish Highland romance novel and a cup of tea. I truly believe reading is a magical adventure and I can’t wait to sprinkle a little book magic throughout my state! Behind the Spectrespecs: Bibliophile, audiophile, pluviophile, logophile, cinephile. Armchair archaeologist, lazy librocubicularist, hapless herbologist, over-the-top alliterist. Time-traveling nerd. Punster, paladin. Champion of homeless books. Newly minted Book Fairy. “ … I’d rather spend my money on books than unnecessary electricity.” — Elinor Loredan (“Inkheart” by Cornelia Funke). 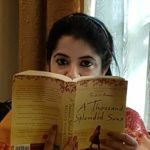 Being passionate about reading, writing, arts and culture, Kavita has founded “Kaffeinated Konversations” – a registered community that supports like minded people, provides a platform to them for intellectual sharing and stimulation and also encourages them to bring out their skills. Kaffeinated Konversations is a creating a culture of social space by engaging readers, writers and artists through various meetups, projects and experiences. Kaffeinated Konversations Book Box is a brand product of the venture. 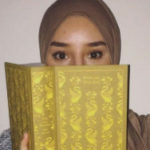 She trains writers/bloggers too through workshops and training events. She is a highly sought after book reviewer. 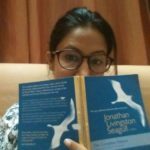 She is also a partner with a Content writing venture called “Quilled Words” (www.quilledwords.com) wherein she mentors young budding writers. She is Former Ambassador for Tsunamika (www.tsunamika.org) in the Madhya Pradesh region for 2 years. She is a voracious reader and book addict. Her handbag; apart from containing innumerable nick-knacks that every woman carries, it always has a book, pen and diary as a constant companion for reading and jotting down her thoughts on the go. I have loved books ever since I was a little girl. I spent a tremendous amount of time at the library and was fortunate that I had a family and environment that fostered my love of reading. I went on to work at bookstores for 17 years and transitioned to a library where I am currently part time. 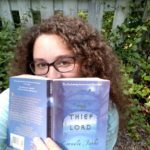 I started working at a local elementary school last fall and really saw how important books were to kids and how hard it was for them to have access to them outside of school. So I started being the book fair around my town. I dropped boxes of children’s books to every park in my town during the summer. Last summer over 400 books were given to kids. 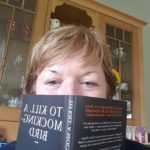 I am delighted to start my journey with other book fairies and continue sharing books to the world. 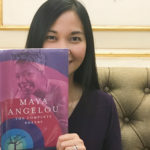 I’m Maria Monica Prado, a Communication Training Consultant from Manila, Philippines. I help people learn how to communicate effectively and confidently. As part of my work and advocacy, I encourage people (including my daughter) to read. Reading has always been one of my favorite things to do. I believe that reading can take you places, open your eyes, change your heart and rekindle your spirit. As a book fairy, I hope I can spread the joy of reading and make a difference in other people’s lives. 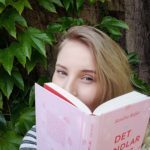 My name is Kajsa, I’m currently studying to become a book editor and obviously am big fan of literature. I’ve always loved reading and the power it has; it can help you find your best friend, putting your feelings into words or even give you a whole new perspective on life and on the world. For me, reading is time traveling, soul searching, self evolving and also of course very enjoyable. 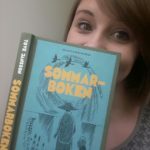 I am so excited about becoming the first Book Fairy in Sweden and getting to be a part of this brilliantly amazing thing! Proud and excited to be the first book fairy in Michigan! I’m Lindsay, 28, born and raised in Michigan. I live in the Metro Detroit area but I love traveling around our beautiful state! I’m a journalist working for the past four years as an editor for an architecture magazine based in Troy, Michigan. I’m so very passionate about reading and writing. My husband and I live on the water, so if I don’t happen to have a book in my hand I’m probably out on Lake St. Clair—fishing, kayaking or swimming. I’m so excited to share my love of books with all of you. Hi, I’m Anita from Germany, Bavaria. I am an 18 year old singer and I attend a school for Rock, Pop and Jazz. When I was little, reading books was a big part of my life. I was/am a dreamy girl, who loved to lose herself in stories. I found myself in music, the reason why I went to a college to improve my vocal skills and to be prepared for that kinda hard business. There are times things get rough and stressful. On those days I grab a book to lose myself in stories again, find new peace and power and of course to find some inspiration. As an artist, I want to spread some magic and some positive thoughts. I want to remind people to try to be the best version of themselves everyday and I want to make them smile. This project is so heartfelt. People are really happy when they find a book. To me this isn’t only a great way of booksharing, it is also a great way to inspire all those beautiful human beings out there. Books inspire. 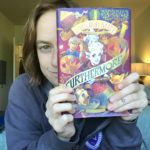 I’m Jane and I am thrilled to be North Carolina’s official Book Fairy! When I was seven years old my teacher read aloud to us every afternoon. It was then that Pippi Longstocking, not Caitlin Moran, first taught me how to be a woman: Live on your own terms, break the rules whenever you can, and have a pet monkey if you want. I have always loved reading, particularly the way it can transport you to another time and place (looking at you, Harry Potter) and against all advice chose English as my undergraduate major. That degree has served me well over the years work-wise and gave me an invaluable lifelong grounding in great literature. I live in an area just full of college campuses as well as the NC School of Science and Math. I especially look forward to getting great books into the hands of our local college students, particularly those young women who will soon be going out to change the world. I’m Haykuhi from Yerevan, Armenia. I’m 25 years old, I love music, books, movies, TV-shows, Coldplay, Game of Thrones, Harry Potter, good food and sunsets. 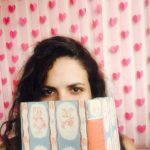 One day I was scrolling down my Instagram feed when I saw a post about Book Fairies. After browsing through their page and website I became very excited about the project and the idea, so I ordered stickers in order to bring the Book Fairy magic to my homeland. 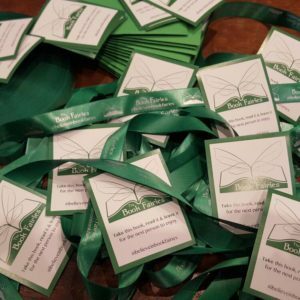 I believe Book Fairies will have a huge impact on everybody in every corner of the world. It’s one of the best things to know that you’re bringing a smile to someone’s face by just hiding a book somewhere for them to find. I’m Lauren, a mommy and photographer! I love to read to my baby book fairy and visit book shops. One of my favourite pastimes with my husband is going into antique shops and used bookstores and seeing which one of us can find the oldest book in there! I love traveling (in real life and through books!) and my favourite stories are historical fiction and fairy tales. I lead a local book club for moms and am formulating a children’s book of my own. Being able to share such amazing works of art with the world as a book fairy is like a dream. I’ve always loved stories. I believe them to be integral to our intellectual, emotional, and spiritual growth. 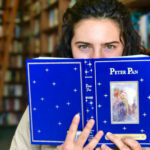 While books can offer a comfortable escape, they can also provide for us a magic mirror in which we can hold up a book, digest what we’ve encountered, and ask ourselves “so why does this matter?” I’m stoked to be living in the ever-magical Pacific Northwest of North America and hiding books around Oregon. Im an abstract expressionist, a Jungian, a proud plant parent, and a Ravenclaw who is very grateful to be a part of the Book Fairy Community. 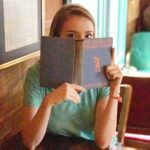 Keep your eyes open, Oregon, there are Book Fairies among you! 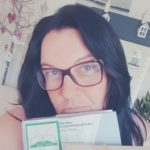 I am Ilka from Bulgaria and I am really excited to be the official book fairy for my country! Reading is my passion from an early age and being able to share and spread the magic of literature is a dream come true. I grew up in a house full of books and now turned my own into a pretty similar place. I graduated from Sofia University with a bachelor degree in Turkology and a master’s degree in Journalism. I have been working in the interesting and ever-changing field of media monitoring and analysis for the past several years, dealing with both traditional and social media. 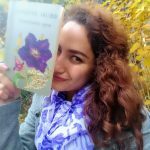 I live in the city of Sofia and drop books around to make people smile and make them believe in (book) fairies! My name’s Abeer, I’m 20 years old, and I’m studying to be a surgical tech. I don’t really remember when I started reading, but I do remember that it was very early, and that I owe it to my father. I love art, writing, food, and quiet. If I’m not reading, then I’m probably studying, eating or watching korean dramas. I hope that by being the first book fairy here, I get to spread the love of books even more in Tunisia! I’m Jasdeep, I am a research scholar at Thapar University. I’ve always loved to read, travel, dance and teach. I believe these things give a perspective to our life. I will be joining a teaching profession real soon. I am a bookworm and a nerd to the core!. My love for books has grown exponentially in the recent years. I travel to my workplace by train daily through the lush green fields of PUNJAB and that is the time i spend with my books. I’m a great admirer of art and artists. I am a learner of life and love to make people smile. Can’t wait to share my lot of books with others and spread the joy of reading. Being a book fairy is going to be amazing! I’m Bonné (Dhapan Phuangphet) from Bangkok, Thailand. I remembered so well one night when I was 8, my parents called me into their bedroom, making it as if it was a special occasion just to give me the first Harry Potter copy. They told me to simply read it because it was world-famous, but you know what? 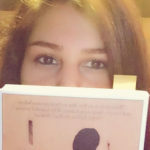 -I have become a bookworm from that time on :). I had my bachelor degree in British and American Studies initially just because I love English literature, and as simply as that I am applying for my master degree in literary studies, hoping to be a university’s lecturer in this field in the future ;). Now I work full-timely as a head of content for a start-up with a goal to empower women. Part-timely, I am a columnist, writing news for a health magazine. Apart from work, I spend most of my time reading and writing stuff. 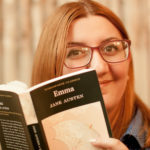 I mostly read literature, philosophy and history, while I novelise and poetise my thoughts into my wordpress blog (msbonne.wordpress.com)! Hi, I’m Wannida. I’m originally from the south of Thailand. 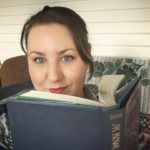 I’m a flight attendant at the moment and collect books from around the world on my shelf. My two most favorite characters are Belle from Beauty and the Beast and Roald Dahl’s Matilda. Reading is my hobby and my greatest resources of energy and knowledge. It is also a way to observe my current interests as types of books I love to read can change from time to time. I’m more than happy to become one of the Official Fairies with everyone from everywhere in the world! It is a wonderful opportunity to do what I have always loved and spread the joy of reading around. Let’s see how far books can travel! 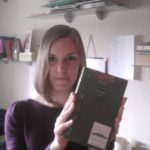 Rhea Seren Phillips is a Ph.D student at Swansea University studying Creative Writing. 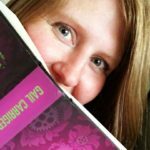 She is a poet and illustrator living in South Wales. Hi, I’m Sandra, and due to my frequent traveling you can find me in many various Polish cities. I’m studying English at Karkonosze University in Jelenia Góra. Knowledge of foreign languages is an amazing opportunity to expand your reading and interpersonal horizons! Reading is my passion thanks to my mother, who used to spend her free time reading Andersen’s fairytales with me, as well as my teachers, who taught me the most important artistry: the interpretation of the written word, and, largely, thanks to my early childhood inspiration – yep, Hermione Granger. She was the reason why I spent every holidays on reading schoolbooks, which, in effect, I daresay, gave me pretty good results at school. I loved the Book Fairies Worldwide initiative largely thanks to my contact with Our Shared Shelf readers. Education has played a huge role in my life and having an opportunity to spread a good word with a touch of magic is something I have dreamed of since childhood! PS. When somebody asks me what my favorite colour is, I answer: greenour. Hi! 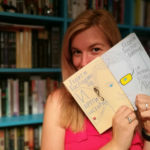 I’m Hanna, the official New York book fairy! I was born and raised on Long Island, and moved to Washington Heights in NYC five years ago. By profession I am a dental hygienist, but there is so much more to me! I’m a writer, currently working on my first novel, and I study with the Catapult indie publishing house. I am a spoken word performer; I tell all kinds of crazy stories and hope to God someone laughs. I love swimming and animals and traveling. My most recent trip was Australia and Fiji, I hope Cuba is next! I also love reading books, sniffing books, holding books, talking about books… books. My favorite book is “Just Kids” by Patti Smith. I can’t wait to spread Love and Literacy around New York! I’ve always been passionate about books. As a kid, I remember spending a lot of time in the school library discovering new stories, and I was overjoyed when book fairs came to my small town! I have so many fond memories of the stories I read as a child. Supporting children’s literacy is very important to me. I love seeing kids getting excited about books and reading! Today, books play a huge role in my life. They are my escape. I like nothing better than to curl up on the couch with my dogs, a cup of tea, and a good book! I am always on the hunt for quirky used bookstores and can get lost in the public library for hours! When I don’t have my nose in a book, I work as a veterinary technician and volunteer with organizations that help animals. I’m very excited to grow the book fairy movement in Canada. I love my big, beautiful country and I look forward to sharing my passion for reading with other book enthusiasts! I’m Ninitha (Niko) and I live in Hamilton, New Zealand. I’m a reading aficionado who is constantly broke thanks to my intense need to own more books. The old book smell is my favourite scent and the yellowing pages gets me all tingly, which why I’m a common fixture at second hand shops here. I fumble when people ask me what my favourite book is cause I don’t know where to start from. I don’t discriminate and love audio and ebooks just as much as I do printed ones. There is enough love in me for all versions. 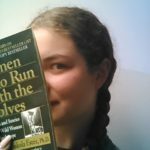 When I’m not researching corporate social responsibility (which is my day time avatar), I can be found getting involved in a million different things from geo caching to smashing goodreads challenges and then complaining of never having enough time. Hello World! My name is Jess and it’s a pleasure to meet you! 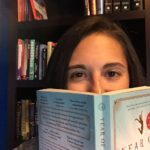 As a Baltimore, Maryland native, I am truly excited to be able to share my love of books with my hometown through The Book Fairies. I’ve always been one to have my nose in a book. As a child, I would take a book with me any and everywhere. My mother still to this day makes fun of me for having been able to navigate a mall during Christmas shopping, all the while reading non stop and keeping pace. As I grew, it was more about getting me to stop reading and go to bed at night. Eventually, my parents started taking light bulbs out of my room at night to try and get me to sleep. It did little to deter me, as I would climb out my window and read on the roof by the moonlight. Now as an adult, I have found less and less time to read books and have turned my passion to audio books, which I am so grateful for. Cooking, gardening, driving around town… my stories are with me. But still, nothing will ever beat the joy and wonderment in my heart when I’m curled up with a new book and a hot cup of tea. That’s the exact feeling I want to share with this world. The Book Fairy project is a perfect formula for positive outreach. Absolutely anyone can be touched by a Book Fairy. Young, old, rich, poor… nothing matters but the next page to turn. I consider myself very fortunate to be apart of something so honest. I hope to encourage as many hearts as I can on this magical journey. So here’s to saturating every nook and cranny of Maryland with inspiration and adventures. Cheers! 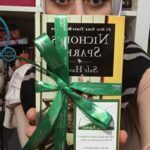 Be sure to follow Maryland’s book fairies @bookfairies_maryland on Instagram! Hi, I am Lisa, a 40-year-old mature Law student and mum of 3! 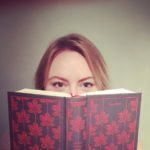 I’m a welsh girl, living in England with a lifelong passion for books! My passion begun at a very young age, when my father who was a long-distance truck driver, always used to return from his travels with a new book for me, even at 40, I still have all the books he ever bought me as a child! Reading is my form of escapism, give me a good book, a glass of wine and a bubble bath and that’s my heaven right there! I love all genre’s and have a particular affection for Jane Austen! Hello! 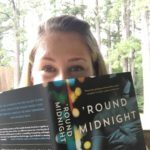 I’m Michelle, an accountant and book blogger who loves words as much as numbers. I come from a family of book lovers so if you told me I was born with a book in my hand, I would definitely believe you! One of the first books I remember falling in love with as a child was The Magic Faraway Tree by Enid Blyton, closely followed by Lewis Carroll’s Alice in Wonderland. So for me, magic and books have always been linked closely together; whatever you’re reading you can easily be transported to the fictional time or place within the book, just by hopping aboard your own imagination. 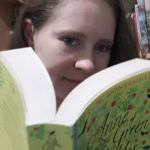 I am thrilled to be able to share my love of books by becoming a book fairy as I know it will brighten somebody’s day to find a book where they least expect it and, if they’re really lucky, they might even discover a new favourite author. 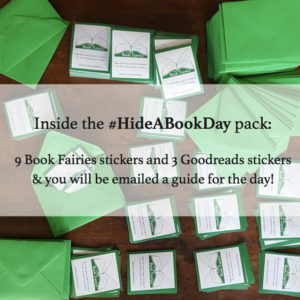 As J.K. Rowling once said, ‘I do believe something very magical can happen when you read a good book’, and the magic begins with The Book Fairies. My name is María del Carmen, but everybody calls me Manme. I was born in Andalusia, in the south of Spain, but for some years I live in Madrid. 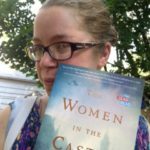 I’m an Art Historian and Educator, and of course, I love books. I remember that since I was a child I loved to read, and that has not changed. 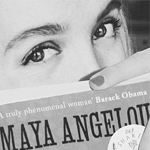 I love reading novels, classics, autobiographies, poetry… and I’m very interested in feminism. 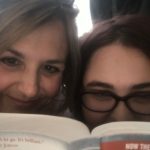 Being part of the Book Fairies family is so exciting! I think reading makes us free, so let’s share the world! Hi from Iowa! I have lived in a small charming river town my entire life. As you might imagine there’s not a lot to do and there’s certainly no shopping mall or stop light. So, what do you do? Read! I’ve loved books since the beginning of time and always have one in my bag, usually an extra or two in my car. Never be caught without a book! Reading truly allows you to travel the world and meet incredible people. I’m so excited to have come across the Book Fairies and cannot wait to share my love & my books with others! Lookout Iowa, this Hawkeye has fairy wings! I’m Megan! I live in the beautiful San Francisco Bay Area. 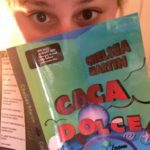 I am a flight attendant for a major US Airline and I love taking my books with me all over the world. My favorite genre is historical fiction, which inspires me to visit the setting of my favorite stories in real life. I have been a voracious reader since I was a child, and I continue to stay up way past my bedtime getting lost in a good book. 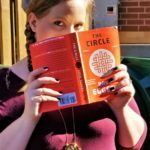 I’m excited to represent San Francisco and unite other SF book fairies on this journey! I am Rubén Darío Herrera from Cuba. I’m 21 and I am currently studying a major in English and French to be an interpreter or a translator in the future. 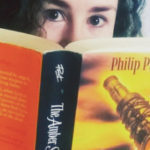 I have loved reading since I was a little boy, I love cats, Harry Potter and of course books. When I heard about this idea of the book fairies I thought “It would be awesome if they could come here” so now that I got the opportunity of doing this is remarkable! I hope people all over my country can enjoy the books. Hello everyone! I’m Kaitlynn, I was born and raised in Muskoka and I now reside just north of Toronto. 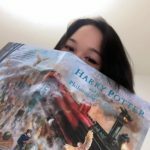 My love of reading started with Harry Potter when my grade 5 teacher somehow talked the principal into letting us do a Harry Potter case study, which included reading the first book and discussing the wonderful world J.K Rowling had created in great detail for weeks (including a quidditch match, because why not?) before going on a class trip to watch the first movie that was just coming out in theatres!! I was hooked, and not just with this magical world but all the worlds we get to discover in books!!! Now years later I was so thrilled for my magical world of reading to get just a bit more magical with the discovery of the Book Fairies and now I’m honoured to be apart of such a wonderful program and I hope to inspire the love I have found in books in others! 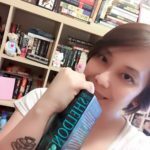 I am a 22-year- old bookworm, pursuing a Bachelor’s degree in Secondary Education Mathematics (teaching math at the high school level). I have been an avid reader most of my life and am an aspiring author. I love to share my favorite reads, and finding the perfect hiding spot around town makes it that much more fun to spread the love of reading! I have lived in Montana my entire life, and can’t imagine being anywhere long-term that’s not near the Rockies. 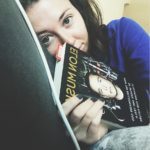 I love traveling and learning about new places, but the budget doesn’t allow for much of that, so I get most of my exploring done through reading. Aside from reading, I also enjoy playing video games, watching movies/tv shows, hiking, sewing, crafting, learning, and collecting the odd knickknack. Hi, I am Lindsay from Canada, Alberta! I LOVE to read. My parents were the ones who taught me to love reading. Ever since I was a little girl my mom and I would go to the library and come out with 5 full bags of books to read. 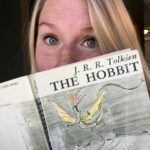 My dad taught me to read using The Hobbit… so naturally, I became a Tolkien fan at a young age. I have two jobs: one where I teach someone to read, and the other where I write things for people to read! Words are my life, and having the opportunity to share the words I love (aka books) with people around the world is something completely magical! 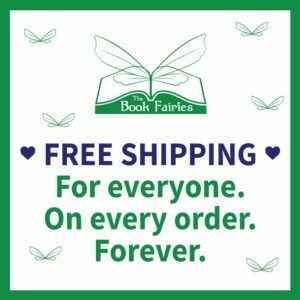 Let’s share a love of reading with everyone and spread some Book Fairy magic! My name is Ellora, I am 20 years old, and I live in a small Hampshire village surrounded by trees. 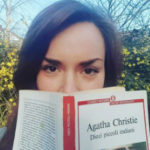 I am a full-time Journalism and Creative Writing student at UCA Farnham, and a part-time library shelver – you could say that books dominate my life (not that I’m complaining!). 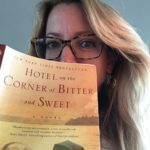 I love reading just a bit more than I love writing – which is a whole lot! 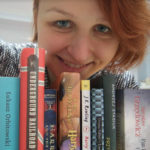 – and my favourite authors include my local hero Jane Austen, John Green, Tracy Chevalier, and Jacqueline Wilson. I read from pretty much every form and genre, but my favourite has to be historical fiction (YA is a close second). I’m in the final year of my degree, so my time will be dominated by my final major project (I’m hoping to do a collection of feminist poems), and my dissertation (I am researching the underlying causes of fanfiction). When I’m not reading or writing, I can be found baking, rocking out to my favourite punk bands, or gazing longingly at enamel pins on Etsy. Hi! 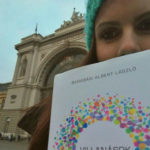 My name is Nastja and I’m a Math student from Ljubljana, Slovenia. 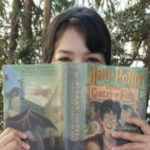 I’ve loved books before I could even read them myself but my true passion for the written word began with Harry Potter. Like J.K. Rowling said, something magical happens when you read a good book, and that is why I love Book Fairies. Hiding books to make someone’s day special and magical. Living in Vancouver since 1999, originally from Toronto. Wife and mother. Pet parent. Steward of the land and to all creatures, big, small and spidery. Nurturer and promoter of creativity that encourages human growth and potential. Love of sharing books and the talented authors who gift us with their visions. Often, simultaneously reading multiple books of various subject fields. 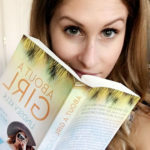 Kat was involved in the Canadian Alias Grace Campaign in September 2017; the Canadian team of book fairies hid over 70 copies of Alias Grace — along with a small handwritten note from Margaret Atwood—across Canada to promote the CBC miniseries premiere. Kat was also involved in the Canadian Tula Campaign, featuring author Andrea Sykes first novel, Tula. My name is Dawna. I am 30 years young and an expert cat herder…. I mean, kids… kid herder… okay, parent! I’ve 3 boys who love to read. I’m a beach enthusiast but I prefer it on cloudy, foggy days. I’m a plant hoarder, love black and white movies, music lover, snowboarder and traveler. I’m a cat person with two but I oddly have a dog too, not a cat but I still love him. I’ve travelled all over the country, served in the military, started law school, built rockets, went to the police academy and eventually moved on to teaching. 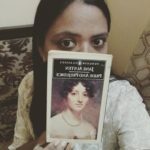 I love books, I read Pride and Prejudice at least once a year! 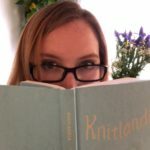 I knit for a living on Etsy while running kids to endless Boy Scout events and sport practice. I currently work for the San Diego imperial council for Boy Scouts. I’m so excited to let my kids experience the joy of passing on these wonderful stories and bring reading back to our digitally disconnected youth! 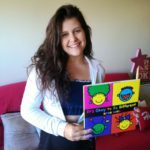 Shawna wants to live in a world where everyone knows how to read, has access to books, and experiences the opportunity to share their story. 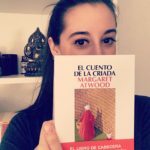 As an Official Book Fairy, she was delighted to help promote the novel Alias Grace by beloved Canadian author, Margaret Atwood. 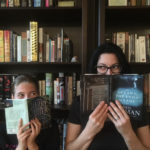 When she’s not planning her reading list for the upcoming season, you can find her juggling her library holds, shamelessly reading aloud to her dogs, and checking her mailbox for some old-fashioned snail mail. Explore the adventures of the Book Fairies Ontario @bookfairies_ontario on Instagram! Reading has always been one of my favourite passtimes (it runs in the family). Discovering new characters and worlds is simply awesome. I never leave the house without a book and if I happen to be close to the end, I take along a second one, just in case. What else would I do on the bus to and from work?! When I don’t have my nose stuck in a book, I also enjoy diving into movies and series, especially Friends and Supernatural, or going for food and/or drinks with friends and family. I’m also a snail mailer and love taking pen to paper to write letters and sometimes I even try to pen a story myself, especially in November, when it’s NaNoWriMo time. 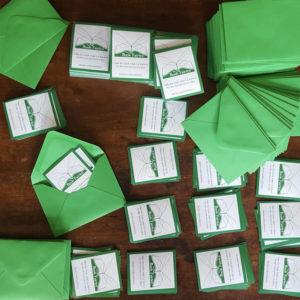 Discovering book fairies felt like realising that Santa Claus really exists, and seeing so many people already participating in this wonderful project is truly amazing! A storyteller, who never forgets that: “To truly listen, is a form of love!“. Telling stories through photography, videography, content and digital marketing. Homoadriaticus from Herceg Novi, in love with the city, Boka Bay, and the Adriatic sea. I’m Ann in Wisconsin (yes, we have lots of cheese). I know there was a time in my life when I could not read but thankfully I was too young to remember, and my wonderful parents did not abide it for long. Since then you will probably never find me without a book nearby. Whether I’m at work, in bed, a wedding, a baseball game, even waiting in the theater for a movie to start, there’s a book in my hand or hiding in my bag just in case. And as much as I love reading books, I love giving them even more. Passing on a book that you loved or that made you laugh or cry, or just feel anything is a particular kind of joy. So it’s no surprise that I am thrilled to be a book fairy and to be part of a group of people who feel the same. Having grown up in the Midwest and lived here most of my life, I am particularly thrilled to be the official Book Fairy in Wisconsin. Since no one will pay me to stay home and read books all day, I work as a legal aid attorney, providing free civil legal services to the indigent. 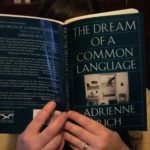 I live in a charming bungalow near Lake Michigan with my equally bibliophilic husband and our dog and two cats – all of which were named after characters in books. 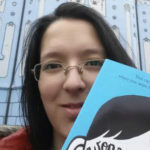 Hi, my name is Dagmar and I’m honored and excited to be the first book fairy in Czech republic. My passion for reading started at a very young age and I just love all about books. The way they smell, how they feel and all the stories hidden inside. Every book has its own magic, secret world where you can get lost. 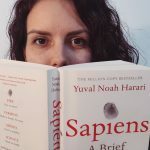 I’m also passionate about travelling and learning other languages and if I’m not reading, you can probably find me on my yoga mat or outside with my dog. I have always loved reading and happily went on the adventures they escorted me on. I like mysteries and fantasy stories. I love consuming series, and will relentlessly search for hard to find editions or out of print pieces. I enjoy solving puzzles and going on adventures. A bit of the faery magic has rubbed off on me over the years, and I sometimes sparkle spontaneously. I believe in justice and happy endings. But I also know life isn’t fair. I also wish for grey skies, warm cups of tea, and thunderstorms. I am Isabelle, 18, currently pursuing an International Development and Human Rights degree at the University of Massachusetts Amherst. Being a huge book worm it pained me to see college students not allowing themselves enough time from their studies to actually enjoy reading. There’s nothing like a little fairy magic to fix that! 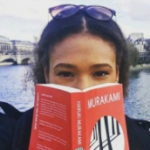 Hi I’m Georgia, a student, avid reader and unstoppable blogger in Milton Keynes. I remember at a young age looking up at my bookshelf and being fascinated by the fact that letters string together to make words, sentences, paragraphs and then finally pages of books. Since then, my love of books, words and writing has never left me. 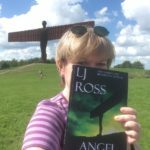 When I saw that the community of book fairies existed and was steadily growing, I knew it would be the perfect job for me. If one reluctant reader picked up a book I had hidden and their opinion of reading changed, I would consider my job well done. My name is Lisa and I am a bibliophile! After faith and family, literature is my biggest passion. I actually just started back to school to finish my Bachelor’s Degree in English! As far back as I can remember, I have always had a book at hand. I often detour to the library or the bookstore to browse, whilst my to-read list grows ever longer. Books have enlightened my mind, varied my perspective, and provided solace to my heart. I often think literacy is one of the greatest gifts. If a person can read, they can learn absolutely anything. If they can write, they can communicate their greatest ideas. The power of literacy is great! I am thrilled to join the Official Book Fairies in sharing the love of reading in my sweet home of Alabama, and in the world as a whole. My name is Jill and I am a book nerd!! I am a mom of 2 amazing mini book nerds and I also teach 6th graders to LOVE books! 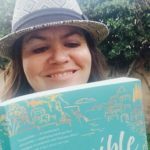 I also sell Usborne Books and more as a side gig to teaching! I’m looking forward to sharing the book love as a book fairy here in New Hampshire!! Our state motto is Live Free or Die, but I personally think it should be Read books or Die!! My name is Nancy, I live in Ontario, Canada with my husband, daughter and ever expanding four-legged family. I love travelling, yoga, reading, creating, and things that are beautiful. Books have been part of my life since I was young and I am glad to share this passion with my daughter Emma, partner in fairy business! Emma loves animals, knitting, playing violin, reading and, as she would point out, gymnastics! The art of storytelling is magical and has had a deep impact in our lives and so, we are happy share the love in our area. After all, who doesn’t need a little magic? I’m a Chemistry Teacher originally from South Wales now living in Sheffield. A firm believer in a healthy work-life balance, I read almost every day to help relax after busy school days. I love reading classics and feminist literature but have very recently branched out into reading horror. 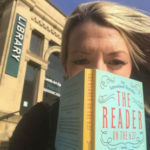 I absolutely love spreading my love of books and can’t wait to get more involved as the official book fairy of Sheffield. I was born in Bogotá, lived in other countries and now I’m back home with my husband, kids and my dog. My parents taught me to love books. I grow up surrounded by them. Cannot wait to see people finding ( and hopefully) reading them. 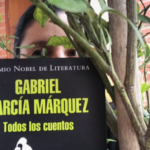 Bookfairies ahora tiene un hada en Colombia!! My Name is Hala. Ever since I was a child I always loved reading, I tried to have other hobbies but i always ended up going back to my books. 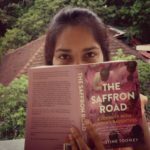 My friends always asked me what books I recommend and what should they read next. One day, one of my friends said that I should start blogging about the books I read. I thought it was a silly idea because reading isn’t very popular in my country. 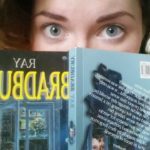 I started a book review page on Instagram and it has been growing ever since. I hope that the book fairies in Jordan will excite more people to read since reading is the best tool for self-improvement and growth. My name is Tasneem Solie. I studied English Language and Literature and now I teach English as a second language at the Arab Open University – Kuwait. I live in Kuwait but I am from Syria. The first book I ever read was Harry Potter and the Philosopher’s Stone by J.K. Rowling and I have been obsessed with reading ever since. Books have become my favorite accessory: I simply cannot leave the house without one. I also care about the environment and I try as much as I can to reduce waste hoping to adopt a zero-waste lifestyle in the future. I also work on raising awareness of the importance of recycling and waste reduction. In addition to environmentalism, I also care about human rights and feminism. Currently, I am taking human rights course with Amnesty and other local Human Rights Organizations. In addition to reading, my hobbies include photography, graphic design and writing. Hi, I am Madhvi from Gujarat,India. A book lover by passion and Chartered Accountant by profession. Books and reading are integral part of my life since childhood thanks to my grandfather. I love books. I read them. I hoard them. I smell them. I nurture them. I worship them. I wanted to spread my love for reading across my beautiful land of Gujarat from where the iconic Mahatama Gandhi hails. I am really glad and thankful to be part of this project book fairy through which my long awaited dream is finally flourishing. 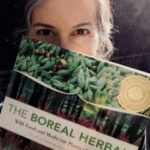 Hi, I am Jenn from British Columbia in Canada! I am an avid reader, lover of books, and an aspiring author. I absolutely adore reading, and it has been my favourite form of escapism since childhood. My brother and I used to play “library” with our picture books, going into each others rooms to trade books for the week ahead. 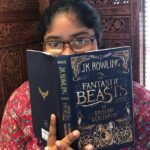 When Harry Potter and the Philosopher’s Stone was released, my dad began reading me the story and I was forever changed; I grew up with Harry in my favourite wizarding world, and was transported through the power of J.K. Rowling’s stories. I strongly believe in the magic of books, and am so excited to be a part of such an incredible opportunity to spread the love of reading! My name is Tineke and I’m from Leuven, Belgium. Ever since I was a little girl I have been addicted to reading, thanks to my parents who are avid readers too and always read me bedtime stories. I was born in Belgium, but grew up in Luxemburg. Going to the tiny Dutch library in Luxemburg with my mum on Sunday, and reading in bed under the covers all night, are some of my favourite childhood memories. Now I live in Belgium again. Being a book fairy means a lot to me because books are my biggest comfort in life. I cannot imagine a world without books therefore I love to share my passion for reading and spread a little magic while hiding books as a fairy. Whem I’m not reading, I’m doing yoga or I’m writing for the Juliet Club as a secretary of Juliet. Juliet’s secretaries answer letters written to Juliet Capulet in Verona by people from all over the world. Writing in the name of Juliet is pretty magical too, so being a book fairy is right up my street. Thank you for giving me wings! 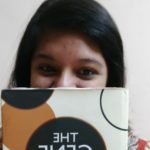 I am Neha Kaura, a UX Developer in Chennai, India. As a child, I had a vivid imagination. So books were a natural extension to that which I gravitated towards. I could be found reading and finishing books in stores as my parents shopped when I was young :P. Growing up my taste shifted from mystery and young adult to the classics, self-help, inspiration, and fantasy. 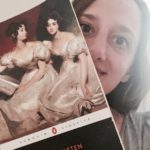 Jane Austen, Cheryl Strayed, and JK Rowling are a few of my life changing favorites. Being an INFJ, I love an intense read taking me on an emotional journey. These books make me believe that truly a reader lives many lives. 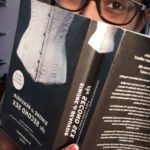 Through Book Fairies I want to encourage others to have similar experiences and revive reading as a cultural activity and a habit. Also, who doesn’t want to be a real-life fairy, don’t you? I have a bookshelf full of books, colour coordinated, mostly read and stacked over each other to leave space for more. I’ve wandered the world through the pages of these books, even made it to space once or twice. You’ll find on my shelf books in Arabic and English, and somewhere on the bottom a Spanish for Dummies. My interests vary and so I have a mix of books from beautifully covered classics to memoirs, self-development to The Natural History of Unicorns, and genetics textbooks from my university days. My bookshelf also includes my handwritten journals and university dissertations; my own addition to my library. I always loved the idea of being a book seller but there is something magical about being a Book Fairy. I’m Sian from Cheshire. Growing up I could always be found with a book and nothing has changed- I always take a book with me wherever I go. Nothing make me happier than a good book and a cup of tea. I enjoy history, visiting new places, listening to music, politics, and of course reading. I love visiting different bookshops and collecting more books; you can never have too many. I enjoy lots of different genre’s, but my favourite books are The Harry Potter series and historical fiction. Books allow us to travel, to meet inspirational people and transport us to a magical world. 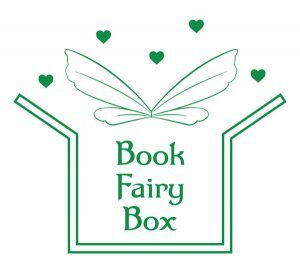 I’m excited to be a part of The Book Fairies, sharing my love of books with others and spreading some fairy magic around Cheshire. I am 12 years old and love reading, a passion instilled by my mum. 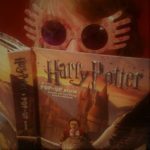 When I got hooked on to the Harry Potter Series, I learnt about Emma Watson and am inspired by all she does and it was so awesome joining the Book Fairies. 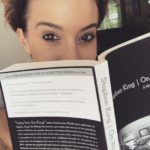 Hiya my name is Candy and I’m a mom, a lover of all things book related and I live on one of the twin islands of Trinidad and Tobago. Sharing books that I have read and enjoyed has always been a part of my life, but now I get to widen the scope of my reach and do it in a cute package as an official book fairy. My name is Arianna and I live in Trinidad and Tobago. I’m a performer, potterhead and avid reader. 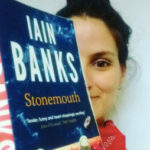 Reading has always been one of my favourite things and becoming a book fairy had been the perfect way for me to discover new stories and spread the joy of reading throughout my island. 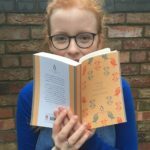 Hello everyone, I’m Ellie and I’m going to be 10 in April so i am one of the younger official book fairies. I am originally from England but have been living in the German speaking side of Switzerland for 6 years. 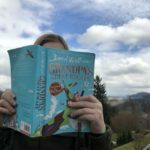 I am excited to share the book fairy fun with all my Swiss friends and the international people here. 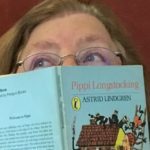 I am hoping I can share my love of books and reading with everyone and encourage others in sharing their favorite books with others. I am often found in my bedroom reading Asterix and Obelix or a book by David Walliams, sometimes the English comic, the Beano with my friends! I get to travel around Switzerland and Europe quite often so am lucky enough to be a traveling book fairy! I play football, the electric guitar and enjoy rock climbing in my spare time! I’m Susan! 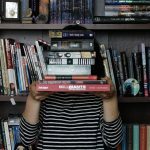 Mother of 2 bookworms-in-training and co-host of the book club podcast, Eclectic Readers. 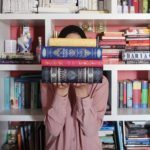 As a bookworm growing up, reading was a great escape for me and over time my love of reading has blossomed into something greater as book culture has grown. 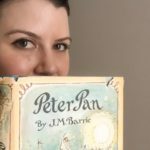 As a mommy bookworm, I have also become passionate about children’s books. Children should have access to a variety of books to help them be more open-minded, compassionate, and understanding. 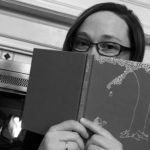 As a book fairy, I want to share my love of book culture and passion for children’s books with others. Also, reading is my main hobby, but I also enjoy crafting, yoga, various outdoor activities, and an occasional video game. I am Sweta, pursuing my bachelor’s degree in commerce in Bhubaneswar as of now. I was born in Bihar but I spent my childhood in northern regions of Bengal, which was a beautiful hilly area. I never had access to story books and novels then so I would spend my time in library reading as many books as I could. And then, Bhubaneswar happened. I shifted here and read my first ever novel, which was, The famous five! I fell in love with books ever since. I love reading books and gifting them to every new person I meet. Books are the best gifts ever! Besides, I love writing and singing. I work at a local online newspaper and wish to continue doing something worthwhile in life. 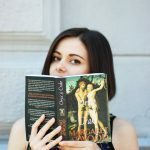 Bookfairy is one such, beautiful and magical experience where I can spread joy and knowledge to everyone. 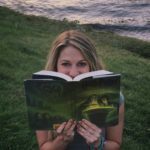 My love of reading really started as a child with ‘The Secret Garden’ – who doesn’t love that book?! I still dream of one day having my own secret garden all walled in! Years later I went travelling around the world several times and this is where my live of books grew. Not only did I have the time to read more, but finding a good book swap was an absolute joy! The excitement of finding new books to read was the absolute highlight of any new town or city. I also learned to read books I wouldn’t have otherwise chosen, which not only challenged my views but opened my mind to how others think. I hope that I might do the same to people who find the books I hide! I now live in deepest darkest Kent with 4 little book fairies in training. Storytelling is an art that has the ability to immerse someone in a different world. 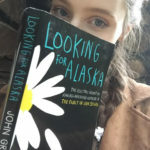 I came to the book fairies because I admire how it connects people from around the world while spreading knowledge and promoting kindness. Reading has such a positive influence on people and communities. It can show someone a perspective or a culture that they wouldn’t have otherwise known, and this has the power to open minds and hearts. Hello, I’m Anda, an interior architect from Bucharest, Romania. Books? I’ve always loved them. School? Always hated it. So I escaped. Through books. The ones you didn’t read in school. (and believe me we studied only boring stuff in there). I had my share of really bad books , of boring ones and of course the ones that “stayed” with me all my life. I’ve hidden them from my parents. read them secretly under the moon light and took them with me everywhere. Instead they gave me a world of places to go and they’ve opened my mind. And I didn’t even scratch the surface..so everyday I submerge myself in the world of books. See you there! Hello world ! I am Marina, 30 years old, living in Skopje, Macedonia. I have a Master’s degree in Architecture. 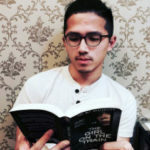 As you may imagine, books are essential part of my everyday life, since my earliest childhood, when I learned to read while watching my mum tutoring my older brother at age of 4. The thing I love the most about reading books is the fact that you have access to years-long life experience and you can absorb so much valuable information compressed in a few hundred pages. I also love the way that reading calms the brain and lets it focus in the present. 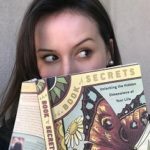 I am happy and excited to be joining the magical community of the book fairies! Hello everyone! I am Hasmik. I’m 26 years old. I am an Armenian living in Lithuania. To say that I love reading wouldn’t be enough to express my passion about reading. I remember when I was 6 years old I found my older sister’s book with a very interesting cover, hid it in my secret box like a gemstone. Every day I used to opening the box, taking that sacred thing, reading it with thirst and putting it back to place. That time I didn’t understand why exactly I was doing so. Now when I think over I understand that, indeed, a book is the most valuable and important thing that must always be preserved and carried along the length of one’s entire life.